A HUGE Thank you to everyone who came to see us on Saturday 1st September at our annual Street Collection. 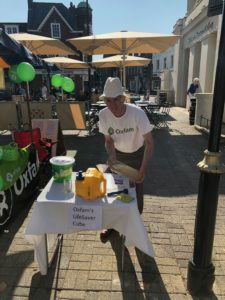 We are very pleased to announce that we made an impressive £448 which when added to our total from the Abbey Theatre night means we are almost £1000 into our £5000 Walk For Water fundraising target! 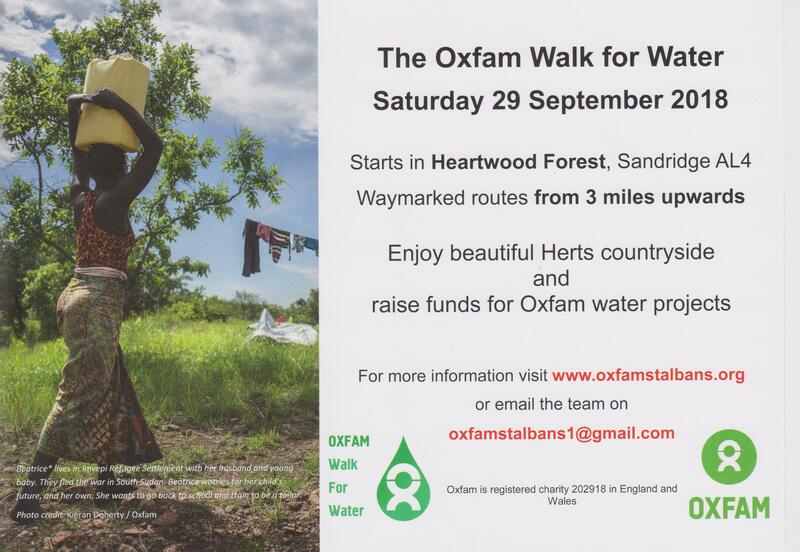 On Saturday 29th September 2018 we will be walking 3, 5, 8, 15 or even 20 miles in the beautiful Hertfordshire countryside to raise money for various Oxfam water projects. 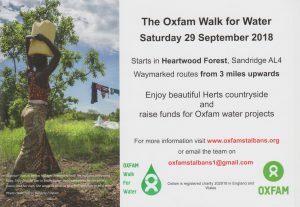 This will be the “Oxfam Walk for Water 2018” (the successor to the hugely successful Herts Hike which has been raising money for Oxfam projects across the world for over 20 years). For more information on the routes you can access full Walkers Information & Maps. REGISTRATION IS FREE BUT NOW CLOSED! But don’t worry as you can still come along tomorrow & join us for the walk – we would love to see you! The link above will take you to the Registration Page but we will not be able to process your details for our planning purposes. All this means is that it will take a few extra minutes to get you on our system on the day. We hope you will still join us tomorrow as the weather looks great! 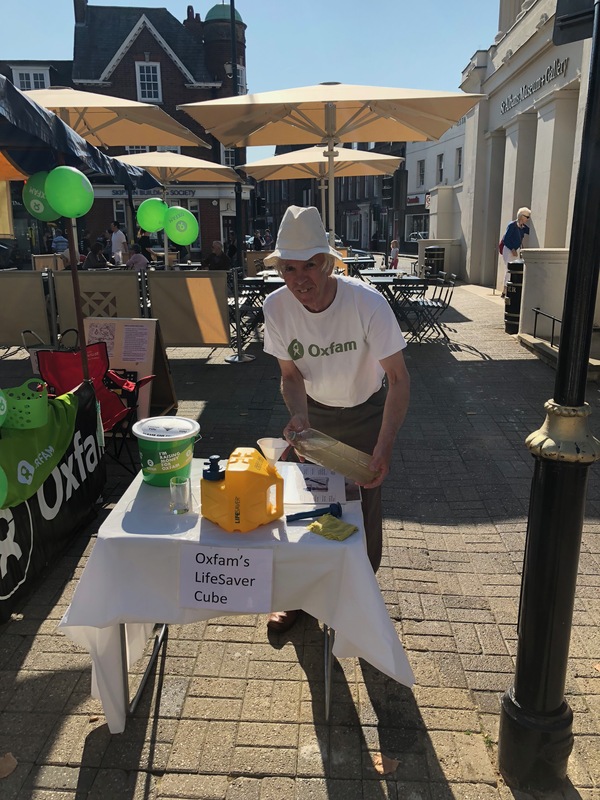 Watch HERE to view a video demonstrating the Lifesaver Cube which we are raising funds for at the Walk For Water. 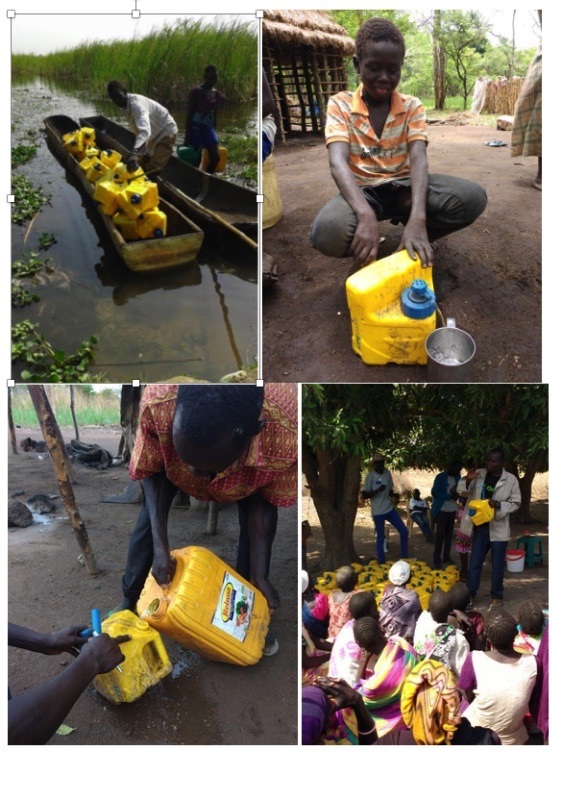 One Cube provides a family with clean drinking water for a full year & costs just £21.39! 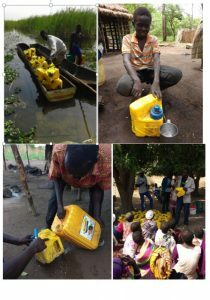 Raising money for the Walk for Water couldn’t be simpler. Please visit our Fundraising Made Easy page to see how, or simply donate directly through our Just Giving page. 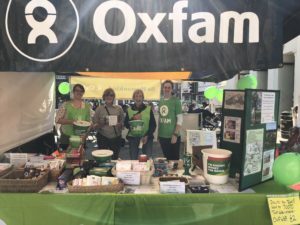 The event is entirely run by volunteers & every year we rely on people to give up their time to make the Oxfam Walk For Water a reality. 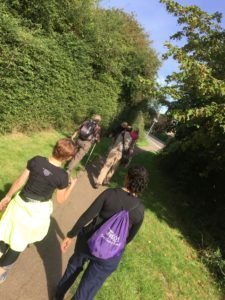 If you would like to donate your time on either 28th (for route marking) or for the actual day on 29th September you can access a Volunteers Sign Up Form HERE.